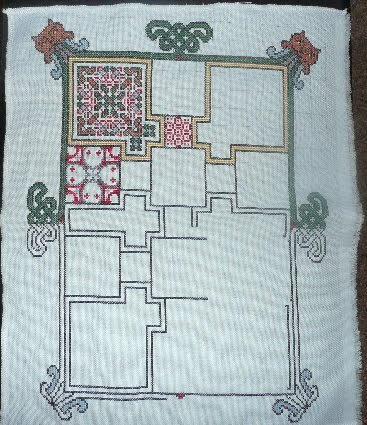 Stitching for a Cure – Blackwork Hope ornie (#4 for me). Yes, I’m loving blackwork. I decided not to put any beads on. I think the intricacy of the blackwork is embellishment enough. I may use beads in the finish. Now I’m just deciding which fabric to use for backing. BoInk for this week. More color! 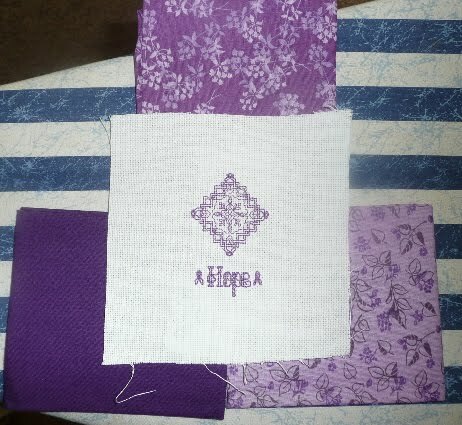 I think I’ll put myself into a rotation of doing one lenth of thread on the frames, then rewarding myself with color. That way the framework will get done. Finally, Worship in the Park was last night. Here’s an image of the headliner, Brenton Brown. It was an amazing night of music and community – I think we had around 3,000 people in the park, compared to 1,000 last year. There were people setting up all the way on the side where the sponsor tables were, and even people sitting behind the stage! Last day to sign up for Blogoversary! That's my favorite, too. Although my mom pointed out that the top floral also looks like snowflakes. Beautiful pieces and the concert looks like fun!